Summer is here and we celebrated our kick-off to June with our first summertime CRAFT NIGHT: Under the Stars + In the Studio! Our special summer craft nights are open up to crafters ages 6-9 and we host one of these special evenings each month in our art studio (a great date night parents)! 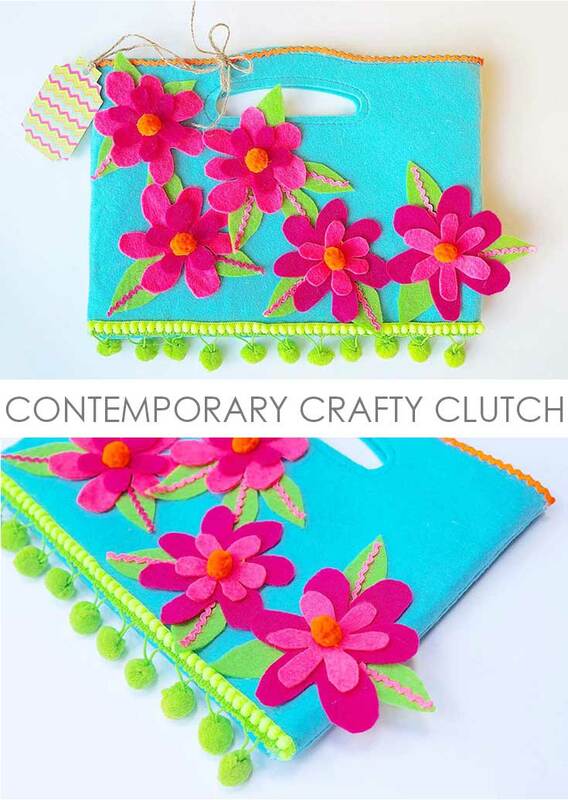 This time around we happened to have all girls jump into fill our workshop, so we hopped on creating a freshly designed + one-of-a-kind + DIY CONTEMPORARY CRAFTY CLUTCH! A very simple project that we were able to just about complete in two hours! We came across these simple + little felt clutches and swooped on a huge stack, knowing they’d be so much fun to embellish with our crafters!